BRYAN EATON/Staff photo. 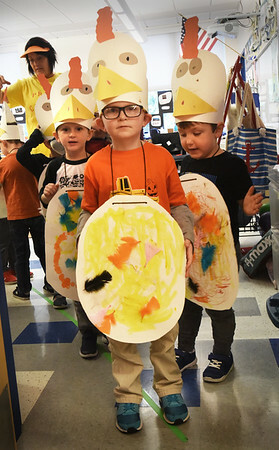 Bresnahan School prekindergartners line up for their Halloween Parade on Monday morning making their own costumes, one class as chickens, the other as ducks. They had been learning about farm animals and dressed up as such.